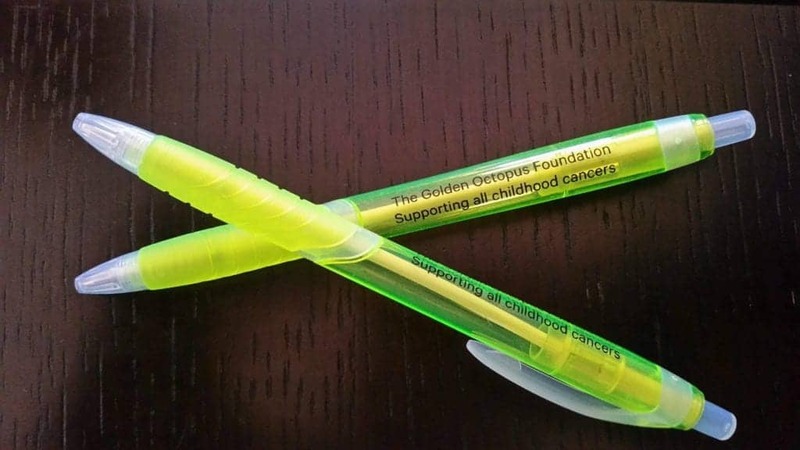 The Golden Octopus Foundation Black Ink Pen You can never find a pen when you need one. So why not buy some now! At only $2 each you can stock up your draw and help a worthy cause. You can never find a pen when you need one. So why not buy some now! At only $2 each you can stock up your draw and help a worthy cause. Smooth writing and easy to find in your bag or draw, these pens are particularly useful for our nursing friends who are required to use black ink when filling in paperwork. Support our cause while writing your notes!